4-H summer camps are county-based programs that foster healthy living in the outdoors. Camp offerings differ in each county and each facility that has its own unique amenities - swimming pools, fishing ponds, waterfronts, campfire amphitheater, and more. Participating in camp programs help youth build self confidence, meet new people, and experience new opportunities. 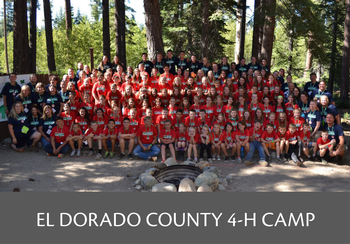 See our El Dorado 4-H Summer Camp webpage for more information. 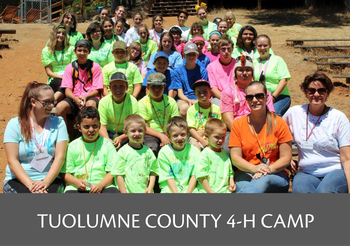 See our Tuolumne County 4-H Summer Camp webpage for more information.